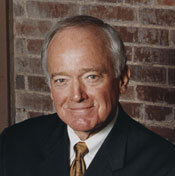 Joe Wyatt is Chancellor Emeritus of Vanderbilt University in Nashville, Tennessee, having served as Chancellor and Chief Executive Officer for eighteen years (1982-2000), and a member of the URA Board of Trustees. His earlier career focused on computer systems design and development, beginning at General Dynamics Corporation in 1956, continuing in Symbiotics International, Inc. (a company he co-founded in 1965) and then at the University of Houston (1965-1972) and Harvard University (1972-1982) where he held both faculty and management positions. In 1976, he was appointed Vice-President for Administration at Harvard and was named Chancellor at Vanderbilt in 1982. A Fellow of the AAAS and a member of Phi Beta Kappa, Sigma Xi, and Beta Gamma Sigma, Mr. Wyatt has carried out research sponsored by the National Science Foundation, the Ford Foundation, the Office of Naval Research, and the Eli Lilly Foundation, among others. Mr. Wyatt was also a founding director and Vice-Chairman of the Massachusetts Technology Development Corporation, a public venture capital group which has financed a large number of successful technology-based companies in Massachusetts. He is former Chairman of the Nashville Area Chamber of Commerce. He is a director of Ingram Micro and also has served as a director of four other NYSE companies. Mr. Wyatt is a past Chairman of the Board of the Universities Research Association and a founding director of the SERP Institute. Mr. Wyatt holds degrees in mathematics from Texas Christian University and The University of Texas at Austin.